A License Plate Capture camera which captures images of cars going up to 55mph. 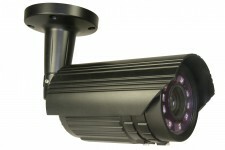 High resolution 700TVL License Plate Capture camera. Specifications and Design are subject to change without notice.